But Oscar-nominated actress Regina King ended up playing a larger role than she anticipated Wednesday night as the Knicks hosted the 76ers. Indeed, King was fortunate not to find herself on the receiving end of ... star 76ers center Joel Embiid. King was in the front row as Embiid chased down a loose ball in the third quarter. 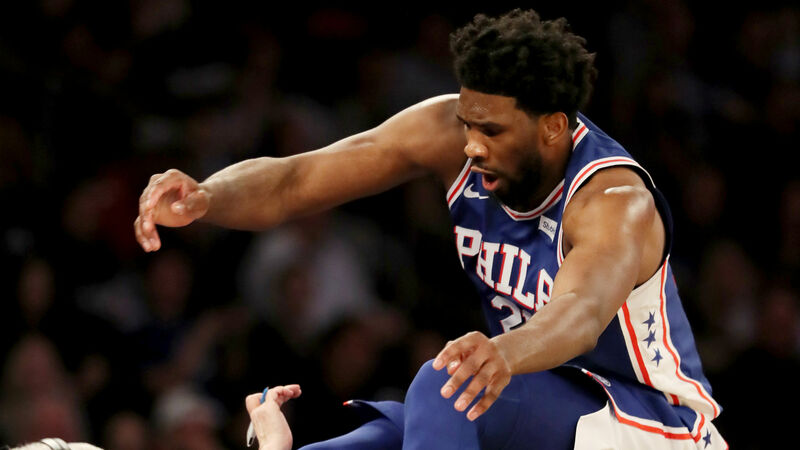 However, as he charged toward the crowd in an effort to keep the ball in play, Embiid helped avert a nasty incident as the 7-footer showcased his athleticism to leap over King and into the stands.